A colourful selection of papers with varied and amusing motifs lets you create truly original works of art. Step-by-step instructions are given for 3 great classics. 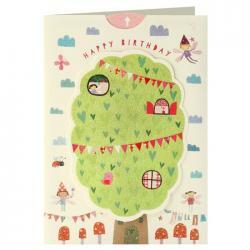 A range of children's birthday cards with an interactive element.Pull the tab at the top of the car..